FORT MYERS, Fla., October 3, 2012 – Florida Attorney Jeffrey R. Garvin of The Garvin Law Firm has been named 2013 “Lawyer of the Year” in the practice area of Personal Injury Litigation – Plaintiffs for the Fort Myers / Naples metropolitan area. Only a single lawyer in each practice area in each community is honored as “Lawyer of the Year,” according to Best Lawyers® and The Best Lawyers in America® (Copyright 2012 by Woodward/White, Inc., of Aiken, SC). Attorneys recognized as “Lawyer of the Year” are selected based on particularly impressive voting averages received during the exhaustive peer-review assessments conducted with thousands of leading lawyers each year, according to the Best Lawyers® website. It is the second time that Garvin has received the “Lawyer of the Year” honor and the seventh consecutive year that Garvin has been included in The Best Lawyers in America®. “I am honored to be recognized by my peers for my work on behalf of those who have suffered personal injury,” Garvin said. The “Lawyer of the Year” designation is the latest in a long list of honors that Garvin has received. Last year, he was presented with the Trial Lawyer of the Year award for the entire state by the Florida Chapter of the American Board of Trial Advocates (ABOTA). Several Florida Supreme Court justices were on hand for the once-in-a-lifetime award, which honored Garvin for taking aggressive measures to help stop legislative initiatives that threatened to harm the Florida court system and impair the independence of the judiciary. 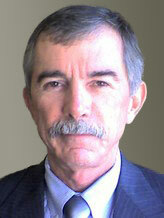 He also is listed in Florida Super Lawyers, as well as Law and Leading Attorneys in Florida. Garvin has practiced law in Florida for more than 35 years and is currently in practice with his son, Leland Garvin, with offices in Fort Myers and Fort Lauderdale. The Garvin Law Firm concentrates in personal injury, wrongful death, automobile accident, and medical malpractice litigation. For more information, call 239-277-0005 or send us an Email.